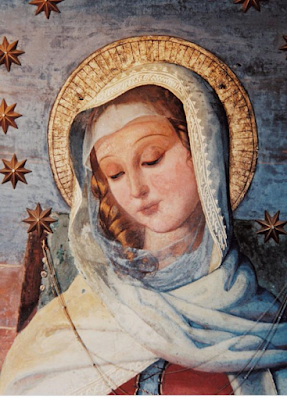 The international Sacred Heart social media network has been full of images of and links to reflections about Mater Admirabilis, whose feast we celebrate today. Remarkably, this simple fresco of a still, pensive young woman caught in a contemplative moment, painted just over 170 years ago, somehow continues to speak - and to speak anew - to successive generations of RSCJ, co-workers and alumni, despite the glittery allure of better-promoted celebrities, sport and film stars as 'role models'. Many people struggle to believe in love; sadly so, as the conviction of being loved can lead to a joy surpassing all others - especially when that love is unbounded and unconditional. Mary shows us this joy can be lived, at depth, with stillness and quiet serenity. May she help us to do likewise, reflecting the profound joy of knowing we are God's beloved, and, through our love and service, enabling those we encounter to experience this surpassing joy in being loved for themselves.